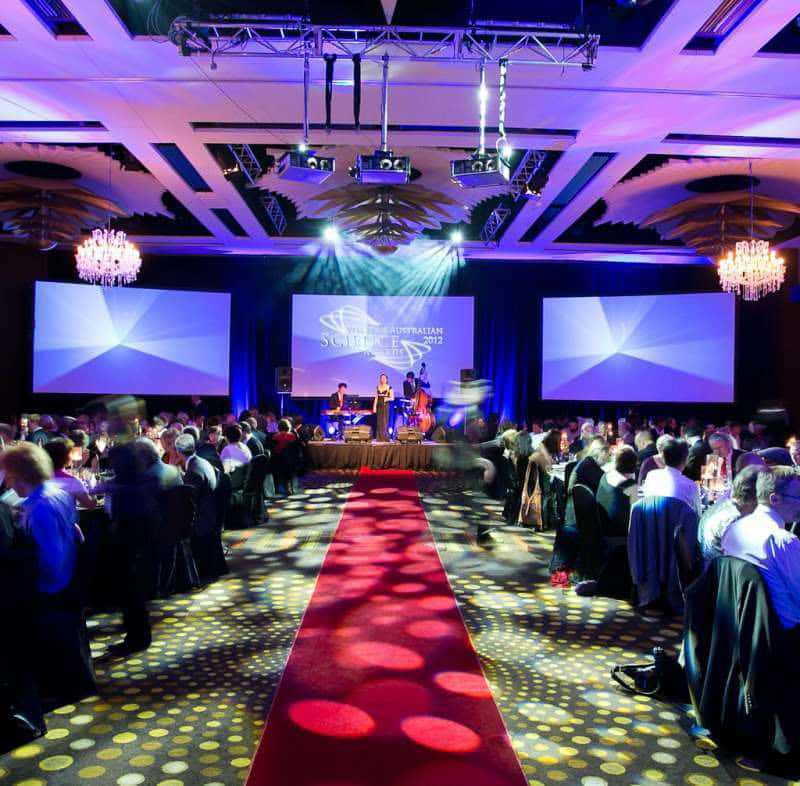 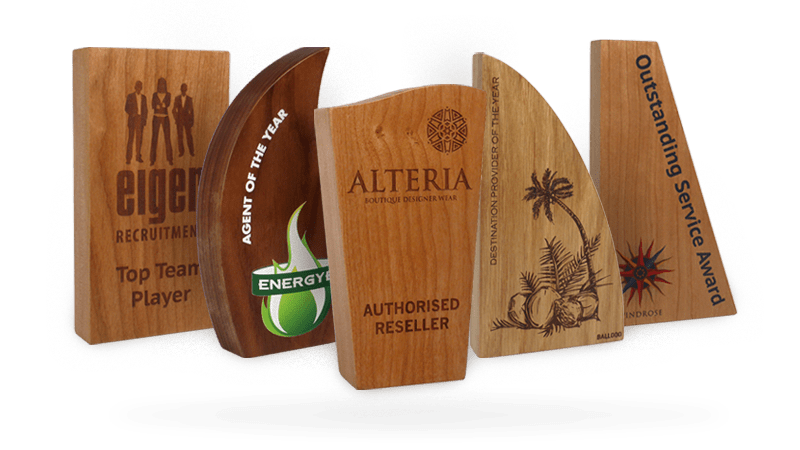 With a classic design and a modern edge, this wood award is a great choice when it comes to selecting the perfect trophy for a business event or a corporate function where staff members are due to be recognised for their accomplishments. 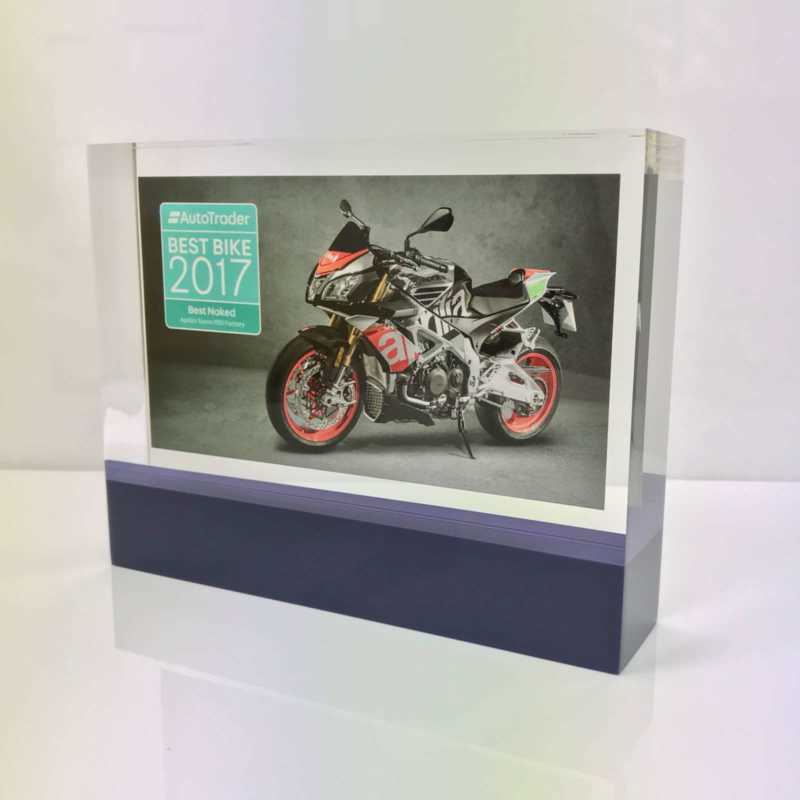 The white wood plaque is fronted with a pane of glass that is removable and the glass can be either engraved or colour printed for a commemorative touch. 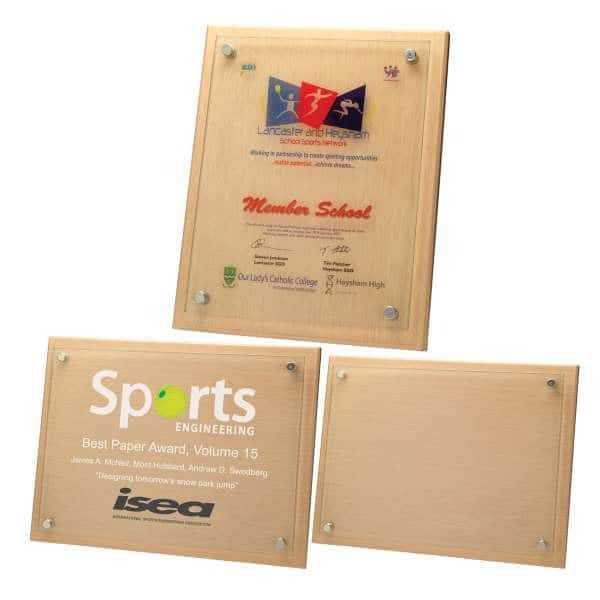 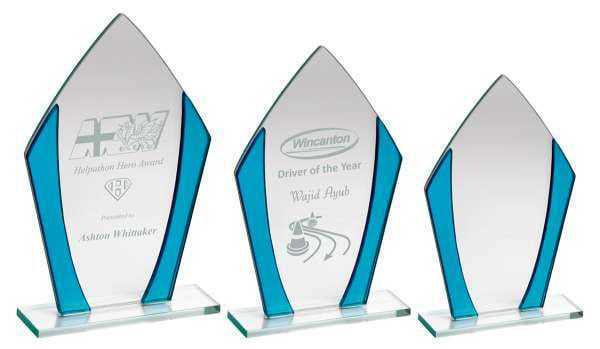 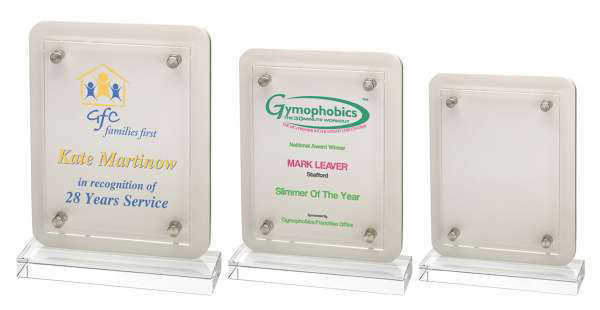 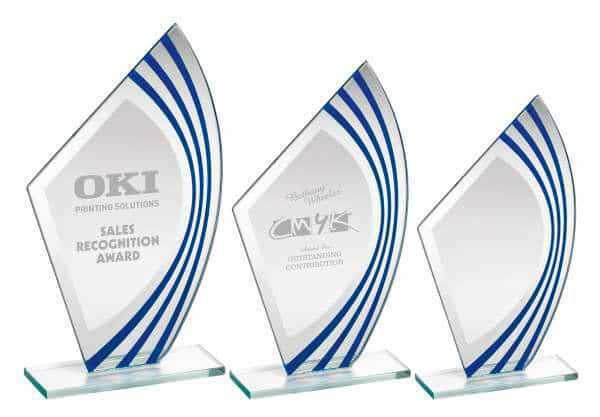 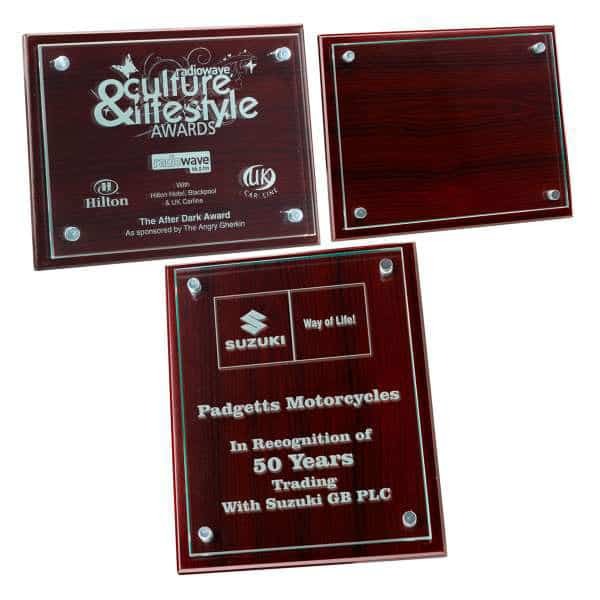 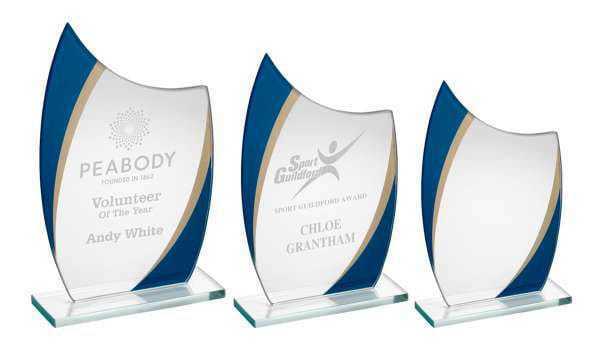 This glass plaque award is available in three sizes.